Although exercise affects the function and structure of skeletal muscle, our knowledge regarding the biomedical alterations induced by different intensities of exercise is incomplete. Here we report on the changes in biomarker levels and myofiber constitution in the rat soleus muscle induced by exercise intensity. Male adult rats at 7 weeks of age were divided into 3 groups by exercise intensity, which was set based on the accumulated lactate levels in the blood using a treadmill: stationary control (0 m/min), aerobic exercise (15 m/min), and anaerobic exercise (25 m/min). The rats underwent 30 min/day treadmill training at different exercise intensities for 14 days. Immediately after the last training session, the soleus muscle was dissected out in order to measure the muscle biomarker levels and evaluate the changes in the myofibers. 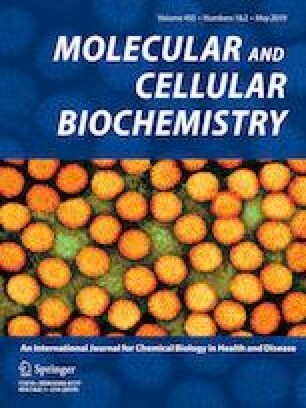 The mRNA expression of citrate synthase, glucose-6-phosphate dehydrogenase, and Myo D increased with aerobic exercise, while the mRNA expression of myosin heavy-chain I and Myo D increased in anaerobic exercise. These results suggest that muscle biomarkers can be used as parameters for the muscle adaptation process in aerobic/anaerobic exercise. Interestingly, by 14 days after the anaerobic exercise, the number of type II (fast-twitch) myofibers had decreased by about 20%. Furthermore, many macrophages and regenerated fibers were observed in addition to the injured fibers 14 days after the anaerobic exercise. Constitutional changes in myofibers due to damage incurred during anaerobic exercise are necessary for at least about 2 weeks. These results indicate that the changes in the biomarker levels and myofiber constitution by exercise intensity are extremely important for understanding the metabolic adaptations of skeletal muscle during physical exercise. Reni Farenia and Ronny Lesmana contributed equally to this work. We would like to thank Drs. Hideaki Soya and Hiroshi Yorifuji for critical discussion and Drs. Lu Yu and Tsuyoshi Ichinose for technical assistance. This study was supported in part by a Grant-in-Aid for Challenging Exploratory Research (No. 24659449) and Grant-in-Aid for Scientific Research (No. 21390065) to N.K. and T.I. from the Japanese Ministry of Education, Culture, Sports, Science and Technology (MEXT) and DIKTI-PUPT (2016) from Indonesian Ministry of Education to R.L. and R.F.